When you bring your pet in for an appointment we want to be thorough as possible when we examine your pet as well as address all of your concerns. 1. Please call 503-630-3538 in advance to schedule an appointment for an exam, surgery, dentistry, boarding or grooming. Our receptionists will call you the night before your appointment to confirm the time and give you any additional instructions. 2. There is paperwork to be filled out prior to your appointment. We also want to share with you health care options that are available for your pet. You can download the forms from our website's patient/client forms tab, receive forms via mail or e-mail or arrive 10-15 minutes prior to your appointment to fill out the paperwork. 3. We prefer to perform an examination on your pet while you are present. Please allow an hour for examinations and 30 minutes for a surgery, dental procedure, boarding or grooming admission. If you are unable to be present, the doctor will perform the examination and contact you with their findings and treatment plan. 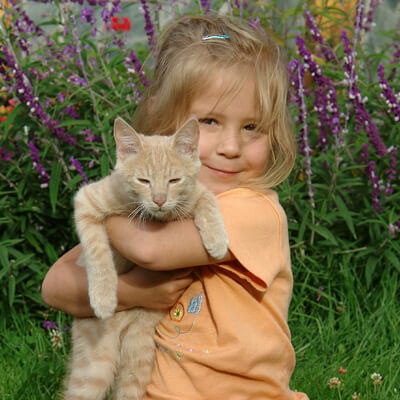 We will perform a complete examination on your pet each time it comes in. To be thorough we ask that you fill out a disease risk assessment and medical history. After the exam is performed the doctor will present their findings and prepare an estimate for the care to be performed. We will review treatment or preventive care that your pet needs. We believe in educating our client's about their pet's health. Most surgeries are on an elective basis. We recommend bringing your pet in before their surgery day to have an exam and blood drawn for their preanesthetic bloodwork. The patient will be admitted in the morning. The staff will call you when the procedure is done and when your pet is ready to go home. Most pets go home the same day of surgery. We recommend bringing your pet in before their dental procedure to have an exam and blood drawn for their preanesthetic bloodwork. If the pet has severe dental disease or a fractured tooth, antibiotics will be given a few days prior to the procedure. The patient will be admitted in the morning. The staff will call you after the teeth are cleaned and evaluated with dental x-rays to let you know if additional dental work is necessary. 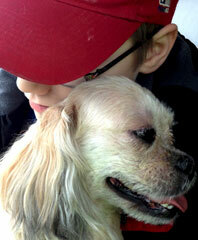 Most pets go home the same day of the dental procedure. A technician will check in your pet for boarding to review your pet's special needs while staying with us. Feel free to bring your pet's own food, toys or special bedding. Our groomer will greet your pet and find out what type of groom you would like your pet to have. She will call you when your pet is ready to go home.